PDF to Word is fast and reliable web application that lets you convert even your most complicated PDF files into Word documents. You don’t need to install nothing on your PC! 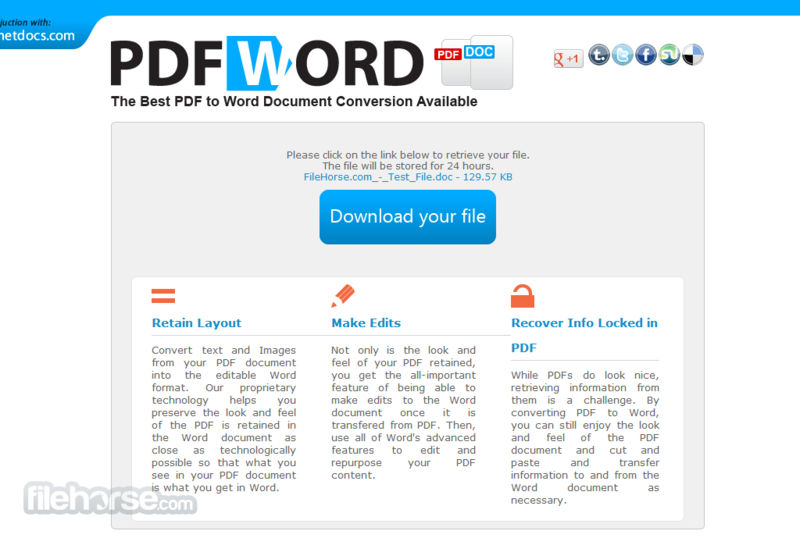 PDF to Word and its powerful cloud based servers will host all that is needed for conversion, helping you to save time and local processing power (especially if you don’t have powerful computer). In a simple web interface, PDF to Word will let you upload your local PDF files and immediately convert them into word documents. Just enter your email address before starting conversion, and very quickly your will receive your Word documents. There are no ways to make a mistake or click on a wrong option. 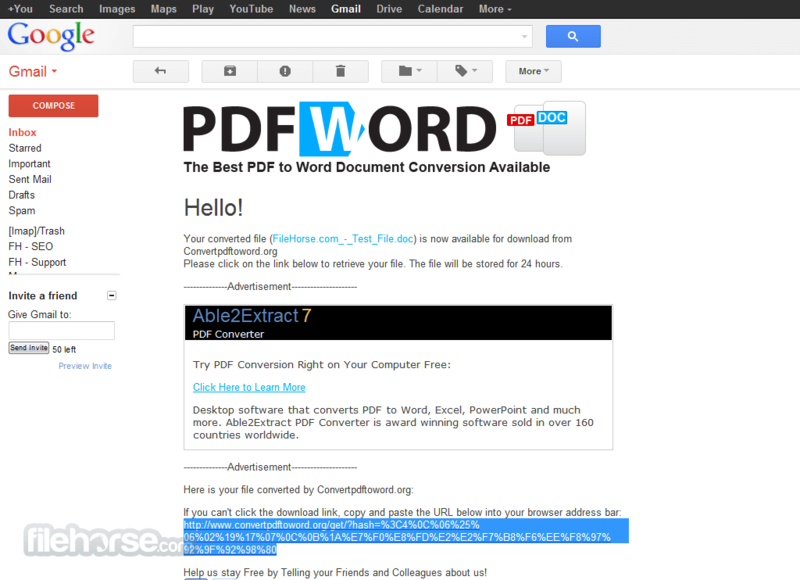 Everything in PDF to Word interface is simple, intuitive and fast. 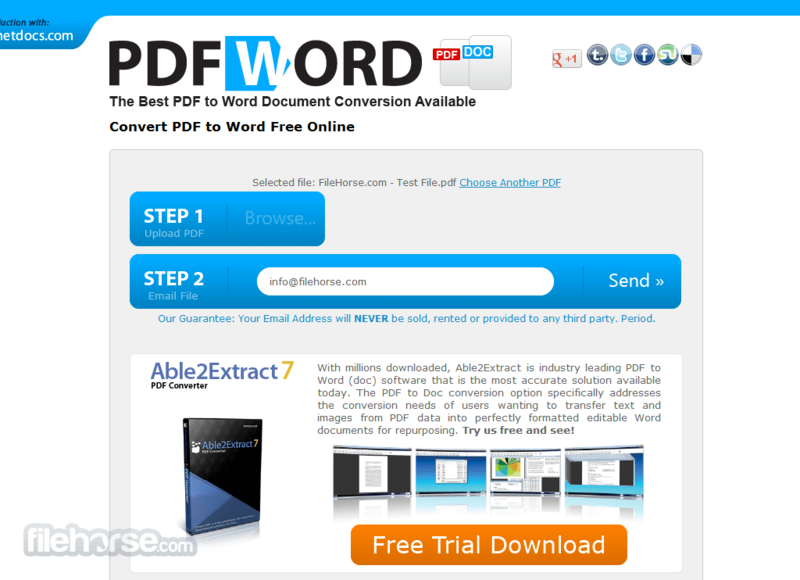 Convert text and Images from your PDF document into the editable Word format. Proprietary technology helps you preserve the look and feel of the PDF is retained in the Word document as close as technologically possible so that what you see in your PDF document is what you get in Word. Not only is the look and feel of your PDF retained, you get the all-important feature of being able to make edits to the Word document once it is transfered from PDF. 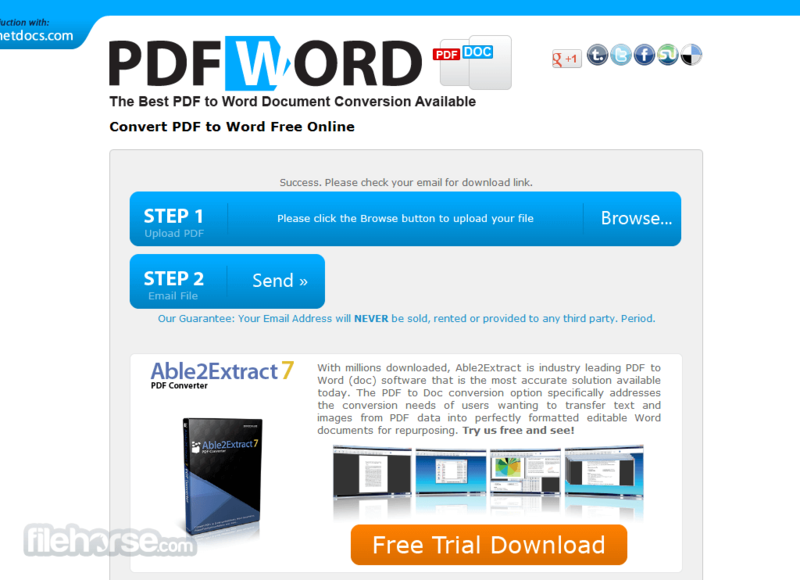 Then, use all of Word's advanced features to edit and repurpose your PDF content. While PDFs do look nice, retrieving information from them is a challenge. By converting PDF to Word, you can still enjoy the look and feel of the PDF document and cut and paste and transfer information to and from the Word document as necessary.